Celebrate a day of giving with Barney! 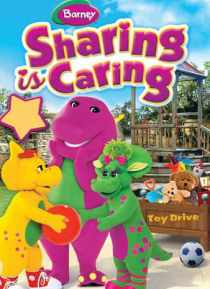 A toy drive inspires Barney and his friends to donate their old toys while learning the joy of sharing. Through magical storytelling and super-Dino surprises, Barney helps his gang discover that generosity brings a smile to everyone's face. Baby Bop, BJ, and the rest of your pals can't wait for you to take part in the warm-hearted fun. You'll have a ball as y… ou learn that friendship and sharing go hand-in-hand!